It started with a lunch out with my friend, Emily, who felt strongly that we must celebrate the official start of my next book project – the sequel to My Johor Stories: True Tales, Real People, Rich Heritage. Emily wanted to introduce me to Belly Treats so she picked a café at Taman Mount Austin to have our lunch so that we could go to its location in this part of the city. Emily told me that for some time now, she had been ordering cakes and other goodies with Haziqah Mazlan and used to collect the orders from her home in Taman Perling. But she had recently set up shop for this business. This sounded rather interesting so I kept an open mind, anticipating something quite highly recommended especially when Emily – who also enjoys baking – wanted to introduce them to me. When we got into the car, Emily set her phone map to an address in Taman Austin Perdana and we set off in search of Belly Treats. We were on a mission to track down this address and the light drizzle could not deter us. As she was driving, Emily explained that Belly Treats is located close to the industrial zone as it’s a bakeshop and not quite a café to welcome walk-in customers. She said since 2013, Haziqah was fulfilling bake orders while working from home. Then she reached a point when she could no longer cope with the increasing number of orders. So in 2017, Haziqah decided to set up a bake-shop in partnership with her former classmate, Nur Hasya Zainal Abiddin, and together they could meet more orders and come up with more creative cakes. Thanks to the intelligent map, we found Belly Treats quite easily even though it’s away from the major thoroughfare. Its modest whitewashed façade has a signboard that simply announced, Belly Treats. A few ladies seated at a table, are happily tucking into slices of cake – they probably couldn’t wait to get home to taste them – while the only other table in the virtually bare front hall, was vacant. This is not quite a café, I remind myself as I take in the sight of the glass-fronted chiller filled with a range of attractively decorated cakes and absolutely irresistible pavlova desserts! No one was manning the counter but we heard voices in the rear – working in the bakery section – so Emily and I take our time to admire the pretty items inside the chiller. From the labels displayed, we can recognise Macadamia Cheesecake, Burnt Basque Cheesecake, Mars Cheesecake, Thai Milk Tea, Cornflakes Crunch, and Pecan Butterscotch among others, each designed with such generous toppings. I was pleasantly surprised to read local flavours in their Durian cake, Ondeh Ondeh and Pandan Gula Melaka cakes! They have kept it authentic because I can even see a coat of fresh coconut flakes on the Ondeh Ondeh cake and drizzles of melted Gula Melaka on top of the Pandan Gula Melaka cake! When Haziqah and Nur Hasya have a few moments to spare, I quiz them about their venture into the cake and bakery business and their experience since they started out together. The young ladies explained that they were Form Four classmates at SM Teknik Johor Baru and they shared a hobby in baking. After secondary school, they went their separate ways to pursue further studies and after graduation, Nur Hasya – a Mass Communication grad – worked in Kuala Lumpur for about a year. Meanwhile, Haziqah, who holds a Degree in Chemical Engineering, was busy at home, fulfilling orders for her cakes. But it all changed when Haziqah made a special cake to present to her then boyfriend for his birthday. He’s now her husband. When she posted a photo of this Classic Chocolate Cake made with Cadbury Chocolate on Instagram, she was deluged with positive comments. While this boosted her confidence and helped her to be more creative in her cake recipes, it also made her work doubly hard to meet all the cake orders she was receiving. Apparently, Nur Hasya, was also baking from home since 2016 when she came back to JB. So when these two former classmates reconnected again, all they could talk about was their ideas for baking. One thing led to another and these home-bakers decided to take their baking to the next level and formed Belly Treats Cake & Bakery. Initially, the space they rented in Taman Austin Perdana was only for a studio and certainly not for walk-in customers. But two months after opening their doors, they had no alternative but to put in two tables and a few chairs to let customers – who cannot wait to taste – to sit down and savour their delectable desserts. I recognised premium brands of quality chocolate like Daim, Mars, Maltesers and Cadbury among others and notice that Belly Treats are not stingy about using these as ingredients to enhance their quality cakes. “Our pavlova are daily bestsellers,” said Haziqah rather modestly about their popular meringue-based desserts and added that their Chocolate Pavlova, are sold out daily. Pavlova are made fresh and sold out daily! Having spied the premium brands of chocolate and generous cake portions, I could understand that prices would also be rather high. But it’s interesting that customers are also willing to pay the price to enjoy a special treat of their quality, premium and well-presented products. Belly Treats make every attempt to deliver their products fresh every day and the response to their cakes and cookies has been very encouraging. But because both Haziqah and Nur Hasya have to be working together in the bakery, they needed help with the daily deliveries to various parts of the city and beyond. These IT savvy bakers then made use of social media to communicate their need for help with cake deliveries. The positive response to their ad helped to set up a network of delivery agents to meet orders from various areas including JB city, Taman Perling, Jalan Tebrau, Bandar Baru Uda, Skudai, Kempas, Ulu Tiram, Kulai and Pasir Gudang. I cannot help but admire the enterprising spirit of these young bakers who are living their dream of creating special treats to meet the tastes of customers. From birthdays to weddings and every occasion in between, the team at Belly Treats is busy meeting orders for private parties and special celebrations, often custom-made to the customers’ taste and specifications. It looked like Haziqah and Nur Hasya are needed to meet walk-in customers and a delivery agent who arrived to collect a range of orders to distribute in her area, so our chat had to come to a close. It said a lot about this little bakeshop as more customers trotted in and made a beeline for the chiller to check out its contents. “But what’s next for Belly Treats?” I asked the baking ladies my final question. Their winsome smiles spoke volumes. I waited while they looked at each other before telling me that they have plans to relocate to a more central location in the city. Then they would consider setting up their bakery with café facilities to welcome walk-in customers. Meanwhile they would continue serving customers online and meeting casual walk-ins at their bakeshop. Emily and I could not leave without buying a Belly Treat each so while she picked a Chocolate Pavlova, I picked a slice of Durian Cake for my mum. So go on. Give yourself and your family and friends a Belly Treats celebration for your next special occasion! Belly Treats Cake & Bakery is at N0. G-26, Jalan Austin Perdana 2/23, Taman Austin Perdana, 81100 Johor Baru. Open daily from 9am to 5pm. Closed on Monday. For daily updates on the best bakes of the day, check out Instagram page for @bellytreatsjb. Tel: +6012 – 762 7203. Lager, Food, Music, reads the tagline at MacGregor’s and this is exactly what I’m looking for at a traditional Irish pub. There are days when some loud music is very welcome and today is one of those days. The pub has live music entertainment by various artistes on different days of the week and I’m here to enjoy the brand of music by guest band, The GoodFlerZ. Recently opened on the ground floor of the Zenith Lifestyle Centre within Suasana Iskandar, the pub offers indoor and outdoor dining areas with a view of Johor Baru’s main street, Jalan Wong Ah Fook. I’m familiar with this building and am safely parked within the building by driving in via Jalan Trus. A convenient ride on a bubble lift from the carpark takes me down to the ground floor. It’s dusk on a Friday and the after-office crowd is turning up to join me – ready to wind down for the week with some good food, cool drinks and rock music! My friends are already here and we are shown to a table reserved up front, for the best view of the band’s live performance, which I’m told should start about 9pm. I refrain from asking for a Guinness draught (typical in any Irish pub!) simply because I want to check out what they have on the drinks menu that is unique to MacGregor’s. I’ve yet to look at the food menu. But I guess if this is truly a traditional Irish pub, there must be Irish stew in its menu – and if it’s true to its name, Guinness will an ingredient. While there is a wide range of wines and spirits in the menu, the lager fans among us pick their usual brands. I’m meanwhile, ready to be surprised by their cocktail creations so my friend and I will have their recommended cocktails. And when the cocktails are served, one is a refreshing Pomegranate Crush while the other is a Margarita with a local twist because it comes in a glass rimmed not by salt but assam boi powder! We raise our glasses for a toast, sending a good vibe around as we settle down to the comfort of that familiar Friday evening feeling. It’s time to study the menu to make our picks and my eyes zero in on the Mains. I’ve already made up my mind on this while I read on about this stew: prepared in a blend of beef, pork sausage, potato, carrots and leek, topped with bacon rashers and scallion, and served with slices of bread. The others make their choices and I nod in agreement, ready to have a taste of their pick of an Angus Ribeye Steak, Granny’s Classic Lamb Shank and Tuscan Chicken. The waiter points out that we can pick two choices of side items and sauces for the Mains. So we turn to the menu again and right at the bottom of the page, there is a list of item choices like fries, mashed potato, sautéed vegetables, sautéed mushrooms, garden salad or baked potato. From among the sauces, we decide on Red Wine Reduction, Gorgonzola Cream Sauce and Mushroom sauce, deliberately leaving out Black Pepper. But before the main courses are served, we pick a few appetizers to share, like Bacon & Cheese Bruschetta, Peel-And-Eat Shrimps, and Tuna Ceviche, made with sushi grade tuna tartare, tomato salsa and avocado served with slices of toast. the Chilli Padi Conza pizza! Then someone discovers the list of pizza and insists we must have a taste of the Chili Padi Conza. As the crowd in MacGregor’s swells, the noise level is escalating while a large screen television on a nearby wall is showing football action from the World Cup games. Now that we have placed our meal orders, I slip outside for a breather and on the pavement next to the squirting fountains, I spy a sign that reads, BIG BIKES ONLY. And nearby, a row of cool, big boys’ toys are parked. I’m back at the table as a thin crust flat bread is served, topped with fresh tomato sauce… and my eyes zoom in on the fresh chilli padi, sprinkled quite liberally among the toppings. This pizza is certainly not for the fainthearted but each one of us bravely ventures to try a slice, trying to pick the one with the least number of dangerous firecrackers! I like how the Irish pub menu is adding a local touch to give a little zing to this pizza choice. Maybe I’m just hungry or fearless or both, because I find myself reaching out for the last piece of this fiery pizza! The appetizers are served and we take our time to savour each item. I like the bruschetta, so tasty with its strong cheese mixed with the bacon’s savoury flavours. The plump prawns are so fresh that I don’t mind peeling them just to sink my teeth into its juicy natural taste. I pick up a slice of toast and top it with a small portion of the tuna tartare, tomato salsa and avocado mix, not because I don’t like it but only because I’m not a fan of fresh coriander which is used liberally in the tomato salsa! Check out the mean machines! Then one by one, our main course orders are served. Just like how we always do, we share out the portions for a taste of the meats and side items. Needless to say, sautéed mushrooms are at the top of my fave list. Pondering on all things Irish, I cannot help but wonder if MacGregor’s in JB is part of an international chain. And the best person to answer this burning question must be Wyman Lee, co-owner of the pub. Lee put my wondering to rest when he explains that the pub is an independent establishment and its name was inspired by his favourite Mixed Martial Arts star, Conor Anthony McGregor, an Irish professional MMA boxer. With our stomachs full and our conversation done, we are ready for the night’s live music entertainment. Live music entertainment by The GoodFlerZ rocking the night away! Like the rest of the audience, we are more than ready for The GoodFlerZ as they strike up the band with familiar (sing-a-long) tunes along with their own compositions and rocked the appreciative audience happily on, long into the night. MacGregor’s is a Non-Halal restaurant, open daily for lunch from 12pm while dinner is served from 5pm till late. Located at #G-06, Ground level of Zenith Lifestyle Centre, No. 82-C Jalan Trus, Johor Baru. For reservations, Tel: +607 – 277 6818. A few things happened recently that set me thinking about going back to Masai for a visit and I did so with my mum and eldest sister. We took a leisurely drive to Masai via sections of the two expressways and saw the quarters we lived in within the Health Sub-Centre compound at Jalan Sekolah before touring familiar sites, all the way to the jetty at Kampung Kong Kong Laut and back. Throughout the trip, our comments were mostly about the changes we saw in the way Masai has developed and how nearby estates were now replaced by buildings. My thoughts about Masai were triggered off at, Bicarawara Tokoh – Lada Hitam dan Gambir, an event where a guest speaker on the topic of Johor’s pepper and gambier heritage, was UTM Associate Professor Dr Haji Kassim Thukiman. He was referring to my book, My Johor Stories: True Tales, Real People, Rich Heritage and expressed how thrilled he was to read about Masai, a town mentioned in my story, Going back to Masai-chusetts. gave us slices of watermelon to slurp (and drip!) outdoors! He was fascinated with my experiences in Masai while our parents, transferred to work with the hospital’s Health Sub-Centre, were based there for 13 years. Prof Kassim was born in Kong Kong, specifically in Kampung Cahaya Baru, a FELDA development, but as the nearest Police Station was situated in Masai, his birthplace was thus registered as Masai. As we chatted about familiar places, I felt a strange sense of pride in Prof Kassim, an academic and university lecturer, and his humble beginnings in a kampung near Masai. Not long after meeting the professor, I was at Dine, Puteri Harbour for a food-tasting experience and was introduced to a menu of recommended dishes by Chef Kalidass. As the items were served, I began to notice distinctive and creative Western-Asian fusion ideas applied to the meats and sauces that were not only unique but rather gutsy. Bus No. 39 still serves the JB - Masai route! When the chef finally came out of the kitchen, I invited him for a chat to learn more about his culinary journey and the inspiration behind his creativity. 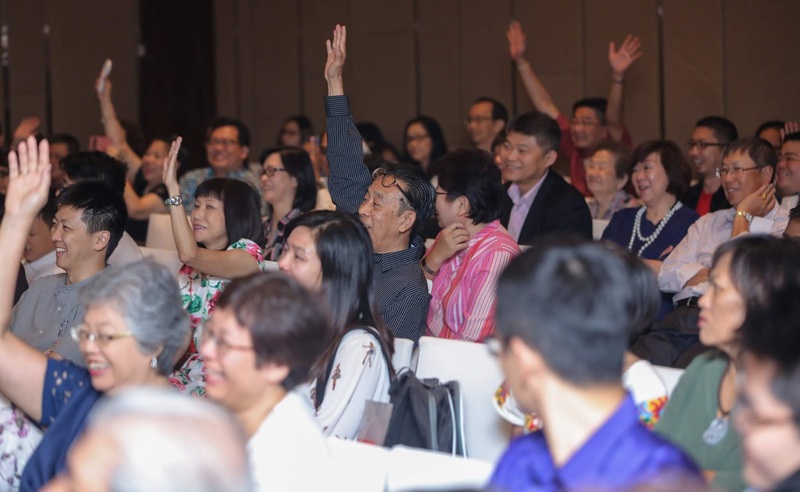 Kalidass, better known as Chef Dass, then shared his story about how he was guided by strong mentors and trained in international brand hotels in Germany and Singapore, before coming back to run a restaurant here. His determination and passion was evident from his voice and when I asked where he was from, Chef Dass told me he was from Taman Sungai Rinting, a former kampung near Masai! A few days later, I was at another event in Bandar Seri Alam, a township on the edge of Masai, and stumbled upon an interesting café, Grumpy Goat and Friends Specialty Coffee House. I could hardly believe that Grumpy Goat was in Masai. As I reminisced about the old town, I marveled at how far Masai had progressed since those early years when Johor Port was created in Kampung Pasir Gudang. When our parents started work in Masai, my siblings and I lived with our grandparents at Jalan Ngee Heng so that we could conveniently walk to school. Our term holidays was with them in Masai and I can never forget the fun we had at beautiful Palm Beach in Kampung Pasir Gudang, how dad taught us to lose the fear of water and the way we used to swim-race with each other. In the latter years when we moved back to live with our parents, we witnessed how Masai gradually developed from a one-street town into a thriving business center as it grew in tandem with Johor Port and the Pasir Gudang Industrial Area. Many businesses opened to meet the needs of a budding shipping industry and to support the manufacturing and heavy industries happening in Pasir Gudang. Masai folks were suddenly seeing a new wave of people coming into their once sleepy-hollow town and the enterprising ones started more sophisticated businesses here. The stylish décor in Grumpy Goat, a specialty coffee house, sent me on a flashback to the first coffee house in Masai, located at the last shop in that row on the main road. much the area has developed! Named, Ocean Coffee House, it was not only designed with a glass-panel door and covered by curtains across its insides, it was of course, air-conditioned. At that time, it was the place in Masai to entertain clients and visitors in air-conditioned comfort. I’ve dined in Ocean and remember it had a coffee house menu of food and beverages – both local and European – as well as ice-creams and also served beer! Not long after that, visitors to Masai could have a drink or two at a pub-restaurant (if my memory serves me right) called, Seaman’s Paradise. In our school-going years, mum arranged for my sisters and I to commute daily from Masai by school bus or Bas Sekolah and we travelled by the winding old road. But when we joined more extra-curricular activities and our hours became irregular, we opted to travel by public bus. At that time, the bus service between Masai and JB was provided by Alec Bus, commonly called ‘the Green bus,’ and its number was 39. When our brother started Standard One at JB’s St Joseph’s School, mum arranged the same Bas Sekolah driver for him. One of the most unforgettable incidents must be that day when my brother did not come home as expected because the bus driver forgot to pick him from school! The driver was oblivious to it until the moment mum went to ask him for her son. Filled with anxiety, mum and the driver rushed to the school and were relieved to find my brother in the office, safely with then headmaster, Alex Anthony. Since that horror incident, the driver took extra care to ensure that my brother was safely on board his bus before he left the school for Masai. This and many other memories came flooding back on our return to Masai-chusetts. One year ago, on July 15, My Johor Stories: True Tales, Real People, Rich Heritage was launched in a simple ceremony at the DoubleTree by Hilton Johor Baru. It was both significant and sentimental that my book, which contains some of my favourite ‘grandfather’s stories’ was launched at this hotel which is located on Jalan Ngee Heng, just across the road from where our grandfather’s house was at No.154. That double-storey bungalow with an adjacent badminton court, is no longer there because the land was acquired by the government to build Jalan Tun Abdul Razak. One year on and I still remember all that happened that Saturday morning of my book launch – unforgettable for so many reasons. I’m deeply grateful for the friendship and support from readers, friends and relatives who have bought my book, not only for themselves but also as gifts to present to others. 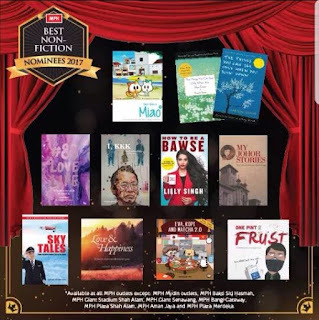 And in so doing, they sent my book to the Number One spot of the MPH Non-Fiction Bestsellers list on the first week of its launch. I’m deeply humbled that we all agree that my book is a special piece of Johor to present to friends and family, especially to those who were born here but have moved away or lived abroad. After the book was launched, I would receive a weekly update from the General Manager of MPH Publishing, Sze Mei. The interest for my book continued in the following weeks and months and it stayed on the Non-Fiction Bestsellers list for the rest of the year. On Christmas Day 2017, it was almost 10.15pm when my phone signaled a message from Sze Mei. As her message slowly sank in, I felt ever so grateful for the publishing opportunity presented to me by Think City and MPH Publishing which led to this book and its success through the support of readers, fans and friends. I’m also thankful for the support from my friends in the hotel and resort industry who wanted to place a copy of my book in their rooms (boutique hotel) and suites (resort hotel) because they are aware that having my book available for their guests’ in-room reading pleasure, will enhance their stay. In fact, they placed advance orders for the bulk quantities of my books and collected their orders from the MPH book sale table at my launch event. Each hotel or resort have their own experiences about my book with their guests but one that they have in common is that some of my books has gone missing from the rooms! We arrived at the conclusion that unless they chained my book to the room, there was always a possibility that guests may inadvertently pack my book along when they checked-out. Another reason was probably because the book is so un-put-down-able that they did not have any alternative but to bring my book with them! 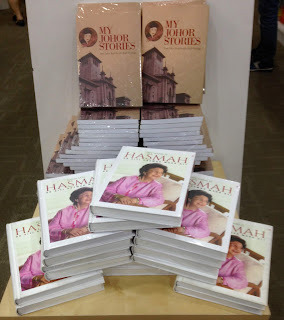 Since its launch, I have introduced my book at Meet-the-Author sessions organized by MPH held in their bookstores in Johor Baru and Kuala Lumpur, public events that were attended by friends, family members and shoppers in the mall. 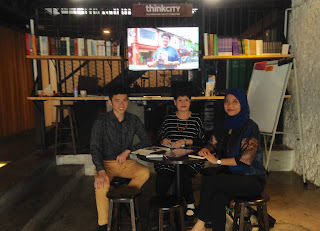 Thanks to Think City who supported me in my book project and which led to yet another new experience – being featured in their corporate video. While I am used to being the one behind the camera, this time I was in front of the camera for an interview plus live-action on the streets of the JB heritage quarter for this video shoot! Last year, I have presented my book to various groups in separate events, including the gentlemen in the oldest Rotary Club in Johor, the Rotary Club of Johor Baru and to the expatriate ladies in JB who belong to the International Women’s Association of JB. In March this year, I was invited to be guest speaker at a Book Talk event with student leaders of SMK Dato Jaafar Johor Baru. The Teacher-in-Charge, Navinder Kaur d/o Dhiraj Singh, explained that the Book Talk was with a group of 30 students who were student leaders from Forms Two to Six. It was such a pleasure for me to speak to local secondary school students about my book. While most of them were born here, they are from another generation and it was an eye-opener for them to hear about some of the heritage stories in my book. We shared an interactive time and had much fun as they gained more confidence to speak to me in the English language. Not long after that, I accepted an invitation to Crescendo HELP International School in Taman Desa Cemerlang, Johor Baru, as guest speaker in an event with some 300 secondary school students, to kick-off their annual Book Week. It was an eventful morning where students and their teachers gathered in the assembly hall to get to know me and more of Johor through my book. This was the largest audience I have addressed, thus far. In the latter part of this event, I had a reading session with Year Six students, in the school library. With the students seated comfortably on beanbags in front of me, I read to them selected parts of various stories from my book and enjoyed an interesting Question and Answer time with these lively 12-year olds. When I received an invitation from Marlborough College Malaysia to speak to some 100 fulltime boarders on a Sunday morning, I learnt that these talks by Sunday Speakers aimed to broaden the students’ perspectives while promoting soft skills within the college. So on that appointed Sunday morning, I was at the college to share my story to inspire the youngsters, with the aim to encourage them to consider a career in writing and open their eyes to life beyond college and university. Besides introducing the contents of my book, I also shared with them about my writing assignments and discussed some on-the-job experiences, from interviews with various personalities to hotel and food reviews as well as travel to destinations both local and abroad. Then in June, I received an invitation to the University of Southampton Malaysia, campus at Educity, Iskandar Puteri. This time, it was not to be a guest speaker but to join a panel of judges in a Public Speaking competition for engineers. It made me wonder why I was being considered for the role of a judge in a national level event, jointly organized by the Young Members Section and Student Chapter of the Institution of Mechanical Engineers, Malaysia. I then discovered that ‘Speak Out For Engineering Malaysia 2018’ is a public speaking competition for engineers to hone their skills in verbal and visual communication, with the aim to convey engineering and technical ideas to a client with a non-technical background. When I accepted the invite to join the judging panel, I did not know that the other three judges have an engineering background; two were involved in the industry while the other was in education. But on hindsight, I was probably the most important person on the panel because I was the only non-engineer and if the competitors could present their talks and made me understand an engineering or technical idea, then they would have achieved their aim! So in this event, I was judge instead of speaker and I must say that it was interesting to be surrounded by an auditorium full of engineers, to judge the presentations of seven competitors. At the judges’ deliberation, we tallied the scores based on the judging criteria and as our opinions about the presentations were unanimous, the clear winners emerged. A great deal has happened in the past 12 months since my book was launched. But apart from the many new experiences, nothing much has changed. I am still the same, going about my work with interviews and writing assignments, doing food and hotel reviews. The next exciting new happening that I’m happy to share, is that Think City and MPH Publishing have presented me with yet another opportunity to work on my next book project. So here I am working hard on my next book – the sequel to My Johor Stories: True Tales, Real People, Rich Heritage. Spot it on top shelf, Far Right. It’s still a collection of My Johor Stories which has a section of my ‘grandfather stories’ plus inspiring stories about ordinary people with extraordinary lives, not just in JB but also in various Johor towns. Writing these exclusive stories involved travelling to meet these interesting people in their hometowns. While this is both challenging and fun, I’m ever so blessed to have the privilege to share their stories and document them as a written legacy for their families. As I’m working on my sequel, I’ve been encouraged by small but significant incidents. Like a friend who was leaving for Canada the next evening and she would be carrying along a few copies of my book, already autographed, to present to her relatives there. While packing, she realized that she was one book short for her distribution so she rushed to the MPH bookstore in JB City Square to buy another copy of my book. Meanwhile she sent me a message to ask if I could please sign this book for her, but early the next morning as she had much to do before her flight that evening. there who have made Canada their home! “How early is early?” I asked because I too had an early start the next morning to go to Educity for the event at the University of Southampton, and planned to leave by 7.45am. And there she was even before 7.45am, patiently waiting at my front gates, with a copy of my book. I was ready with my signing pen and gladly autographed my book for her – against her car bonnet. So everyone was happy and we went our separate ways. By now that book would already be in Canada. Words cannot fully describe how grateful I am for all that has happened in the past 12 months since the birth my book. Praise God and thank you, all.